Watch the Nidec Minster Corp. "FlexNotcher" demonstration featuring the Transporter® LP. 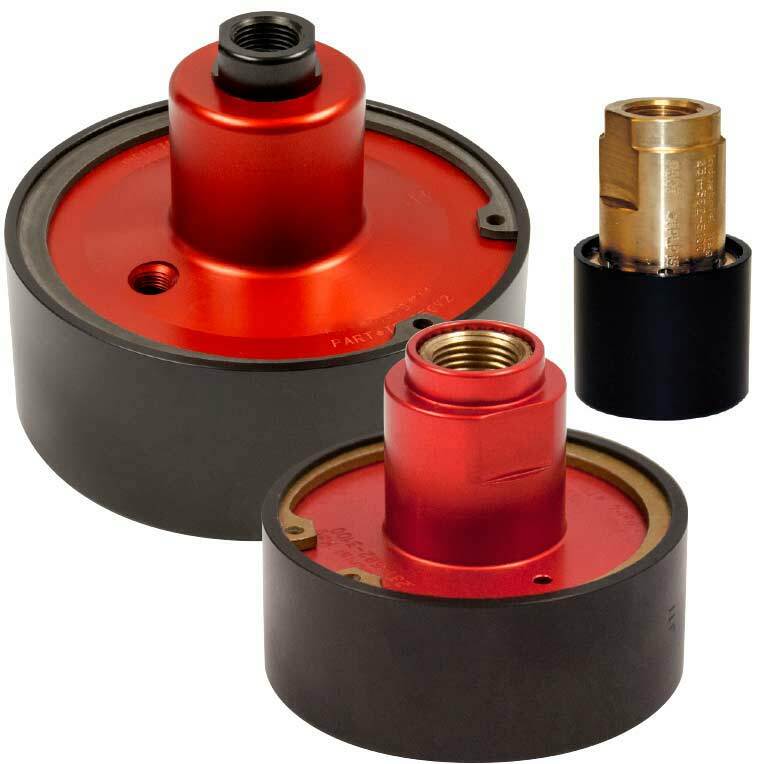 The Transporter® LP is designed to directly replace vacuum cups with minor tooling and valve adjustments. Powerful Rare Earth magnets positively hold the parts during transfer, greatly reducing the chance of slipping and shifting of your part due to oily coatings. 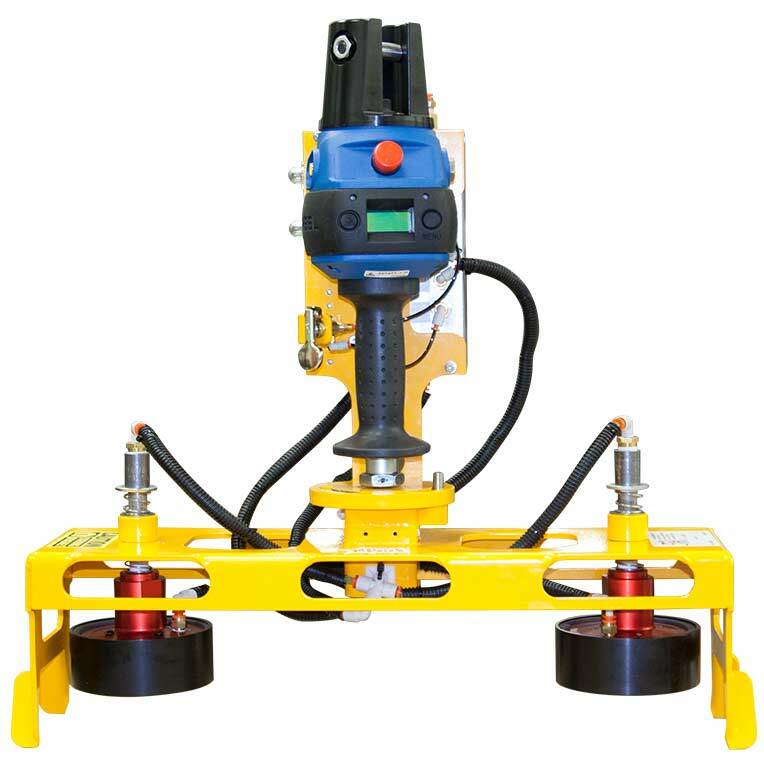 An optional "low-skid" boot is also available to increase grip on parts during transfer. 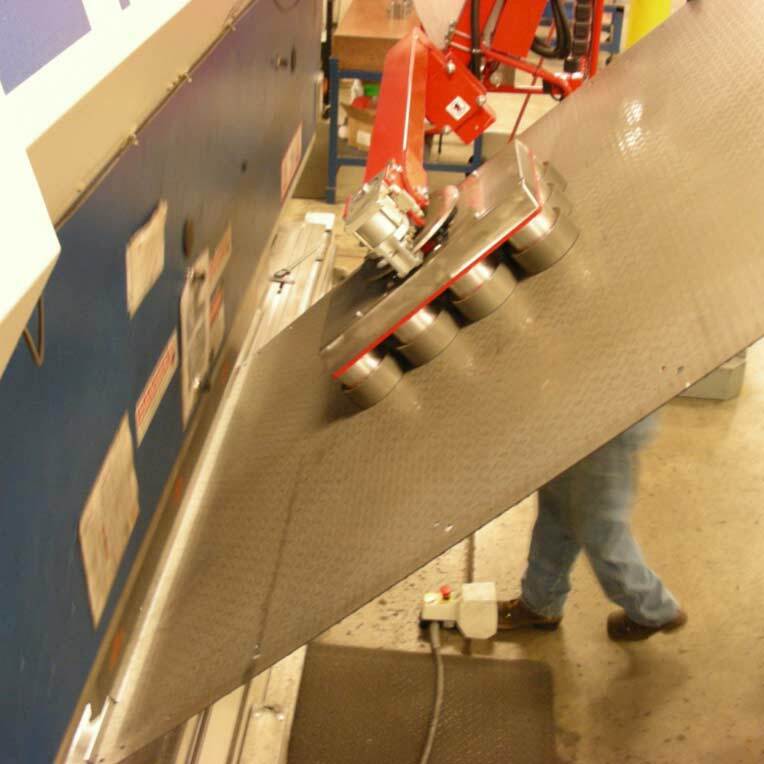 A short burst of shop air pressure is applied in order to release parts. To pick-up or grip parts, the air pressure must be exhausted to the atmosphere. De-stacking (Option DS): The de-stacking option is required for applications de-stacking metal that is thinner than .0478" (18 ga) with the TPLP30 model. 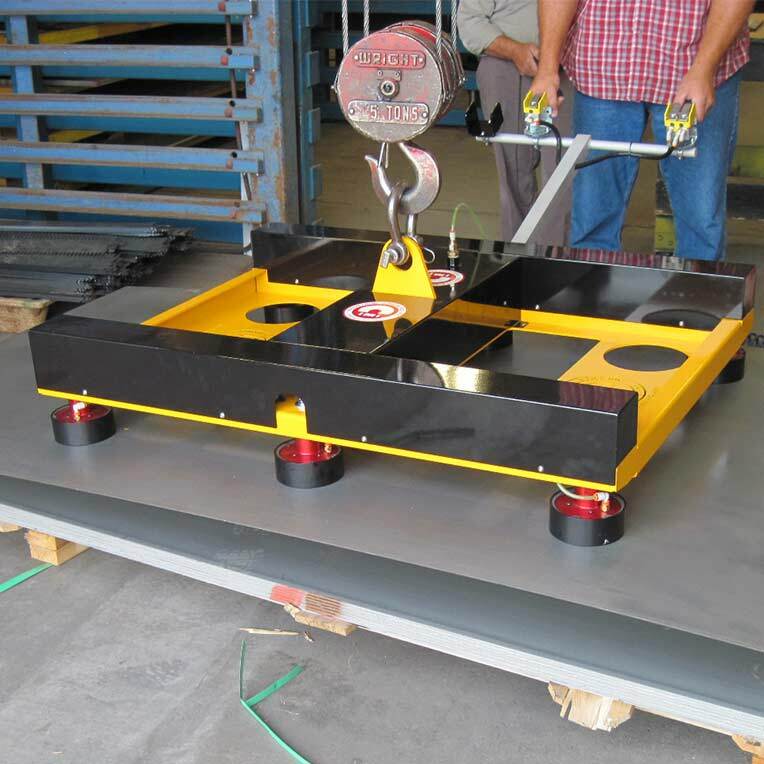 The de-stack option features a special magnetic circuit that is designed to de-stack sheets as thin as .030" (22ga). The optional low-skid boot is required for certain applications. 3/8 BSPP Fitting (Option BS): 3/8 British Standard Pipe Parallel Thread, available on TPLP30 models only. 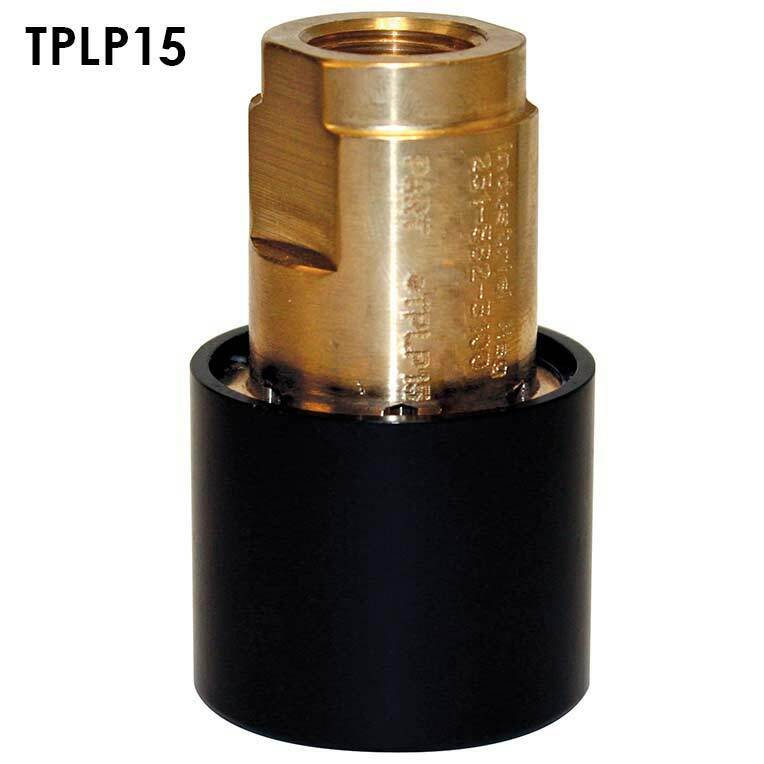 We offer a large selection of TPLP accessory to handle your installation, operation and maintenance requirements such as various mounting options, manifolds and magnet face covers. Our standard mounting options include Bulk Head Spring Mounts, Proximity Switch Mounts, Swivel Mounts and Spring Compensator Mounts. The Bulk Head Spring Mount is ideal for installation on end user specified mounting plates. The Proximity switch mount is designed for the TPLP15 and TPLP30 and accepts a 12mm proximity switch. 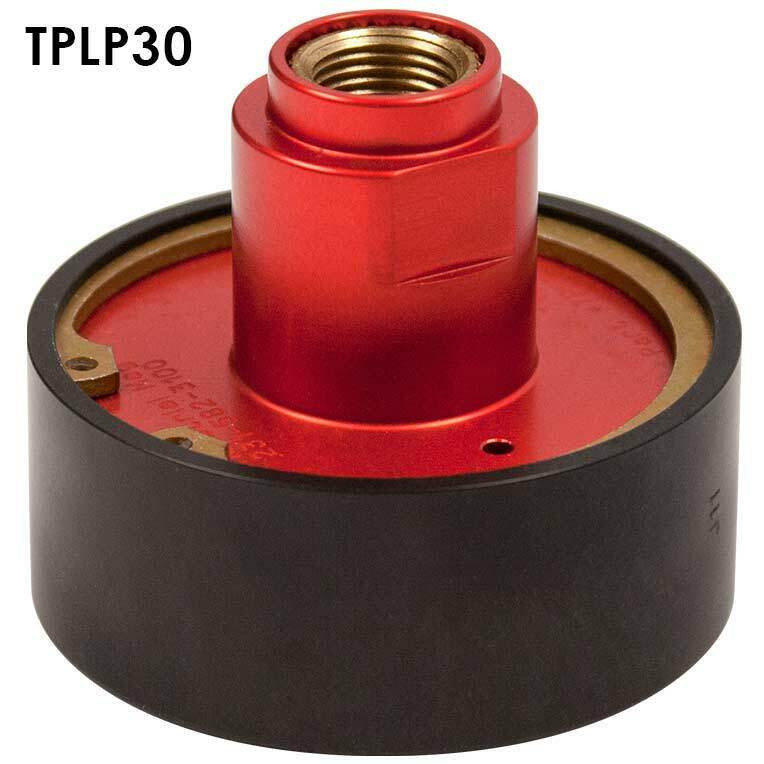 The Swivel Mount or Spring Compensator can be added to new or existing Transporter TPLP30's for best part compliance. 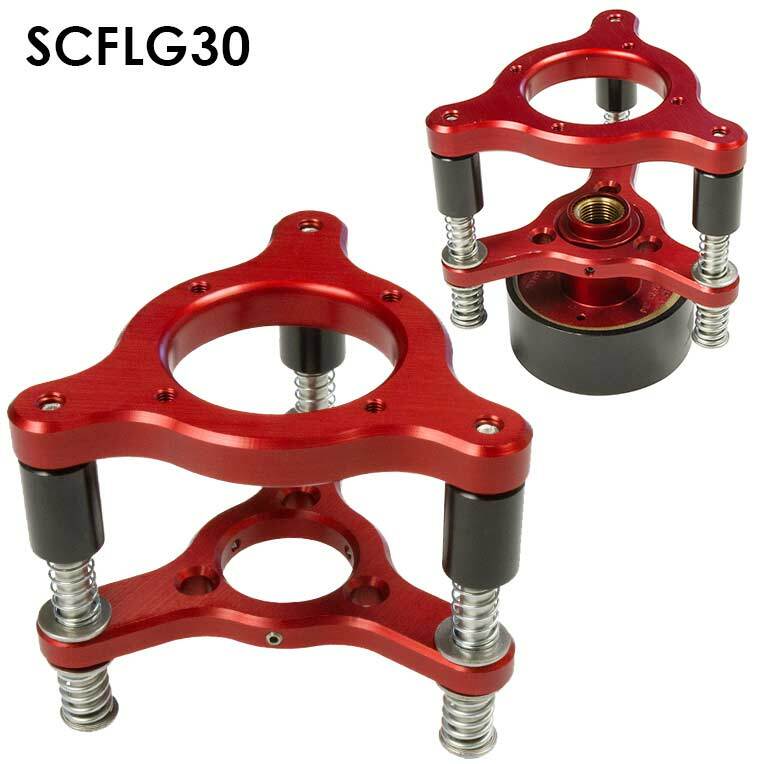 These lightweight, anodized, aluminum constructed mounts fit most TPLP30 magnets to accommodate material variances and uneven surfaces. Low center of rotation allows magnet to stay on target. Our newly styled upper housing was redesigned with a groove to accommodate these mounts. 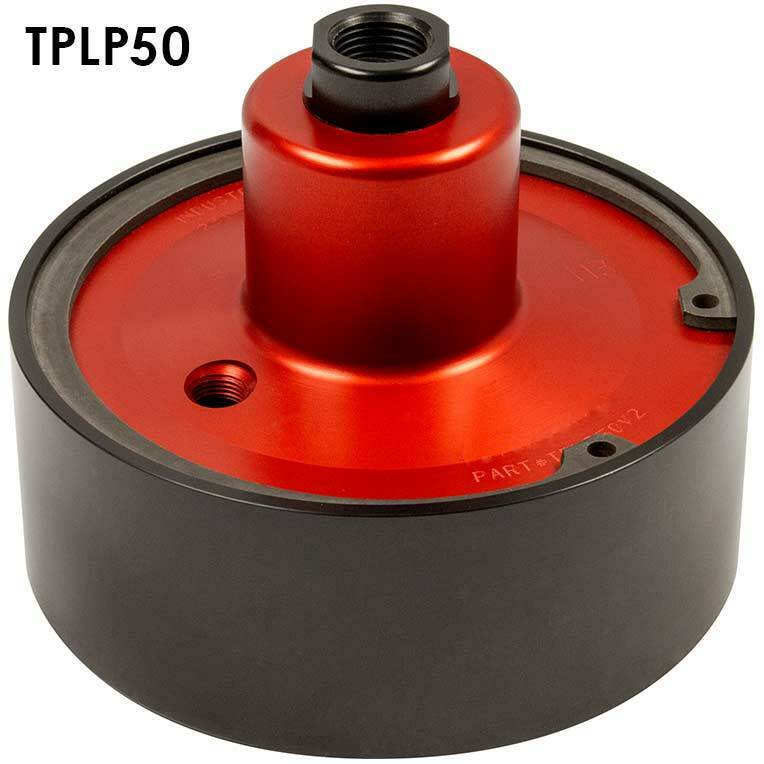 If your TPLP30 does not contain a mounting groove, a replacement upper housing can be purchased. Low Skid Boots and Pads protect against marring of class "A" blanks while extending the life of the magnet by protecting the face from wear. In many applications the boots and pads also assist in keeping parts from shifting under shear in transport. The boots cover the edge of the cup for complete blank protection while the pads cover the face of the cup for increased wear protection to extend the life of the magnet. 601695 Proximity Switch, 12mm, 2-wire, DC sink/source. Bleed resistor may be required, Consult PLC manufacturer's literature for details. 450391 Anodized aluminum Manifold for Transporter® Installation. 1/2" FPT inlets on each end. Four 3/8 NPT outlets. Mounting holes on four sides. Ideal air flow to operate TPLP Magnets. 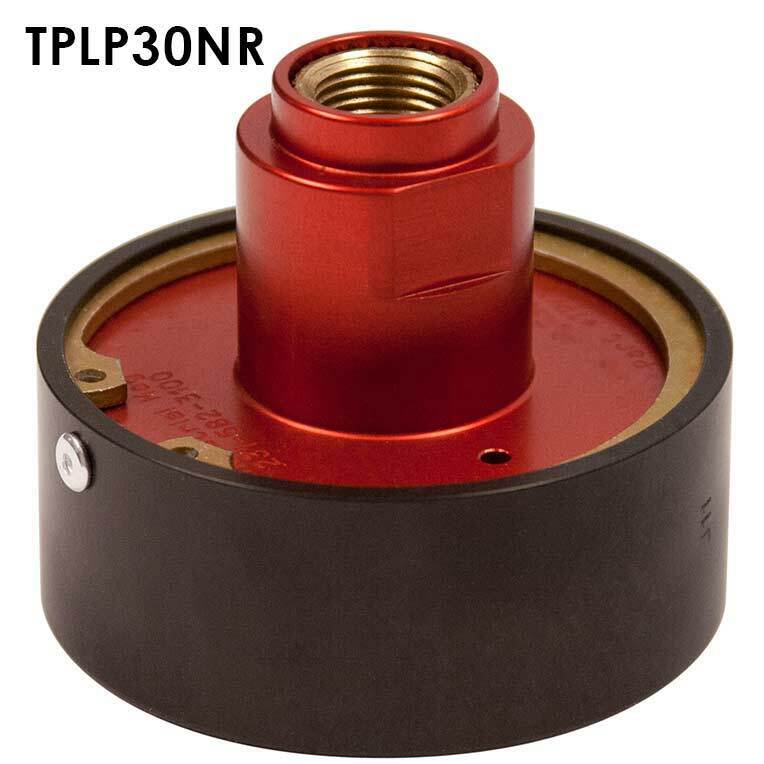 SMNPT30 3/8" NPT Mounted, low profile, swivel fixture for TPLP30 Magnets ideal for existing tooling. Anodized aluminum. Magnet swivels +/- 3° in all directions. Not compatible with BS, NR and DA TPLP30 models. Air line and fitting included. 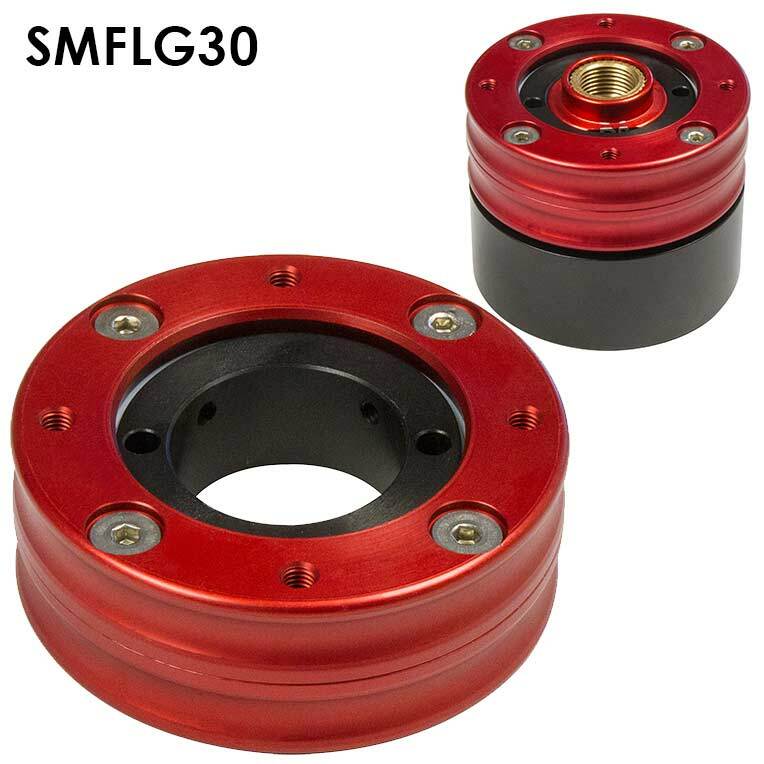 SMFLG30 Flange Mounted, low profile, swivel fixture for TPLP30 Magnets ideal for new and custom tooling installation. Anodized aluminum. Magnet swivels +/- 3° in all directions. Not compatible with BS, NR and DA TPLP30 models. Four, equally spaced, #10-32 tapped holes on 2.50" diameter bolt circle. 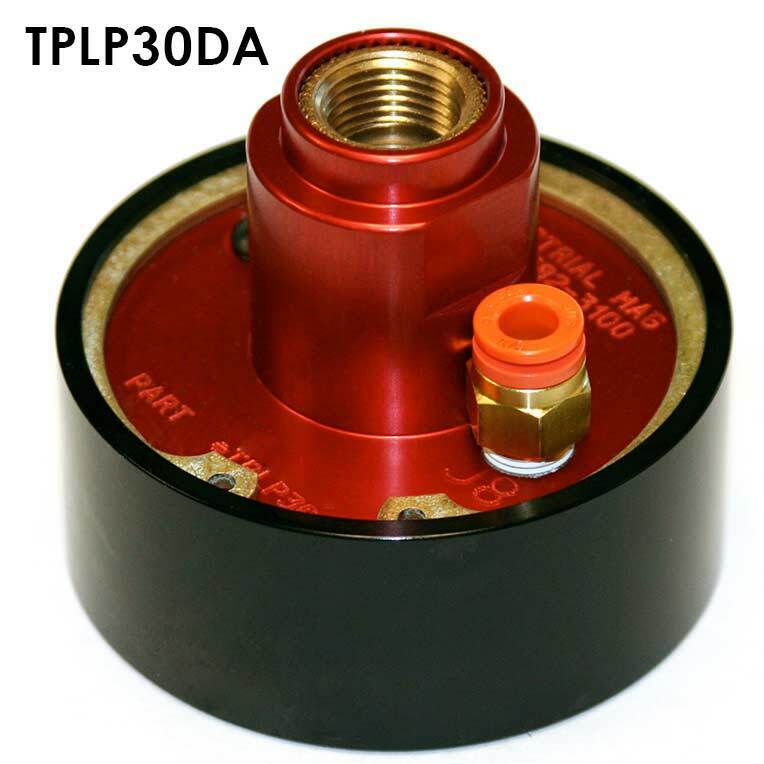 SCFLG30 Flange Mounted, Spring Compensator fixture for TPLP30 Magnets. Crash compliance springs to prevent damage to tooling. Load compliance springs to minimize the effects of shock loading and bounce. 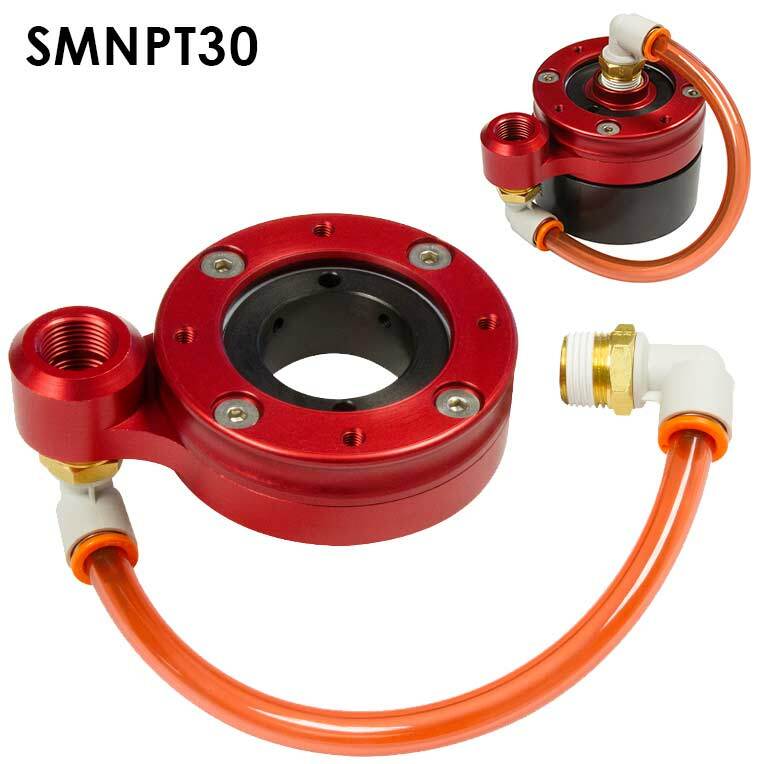 Allows magnet to swivel +/- 8° in all directions. Four, equally spaced, #10-32 tapped holes on 2.50" diameter bolt circle.